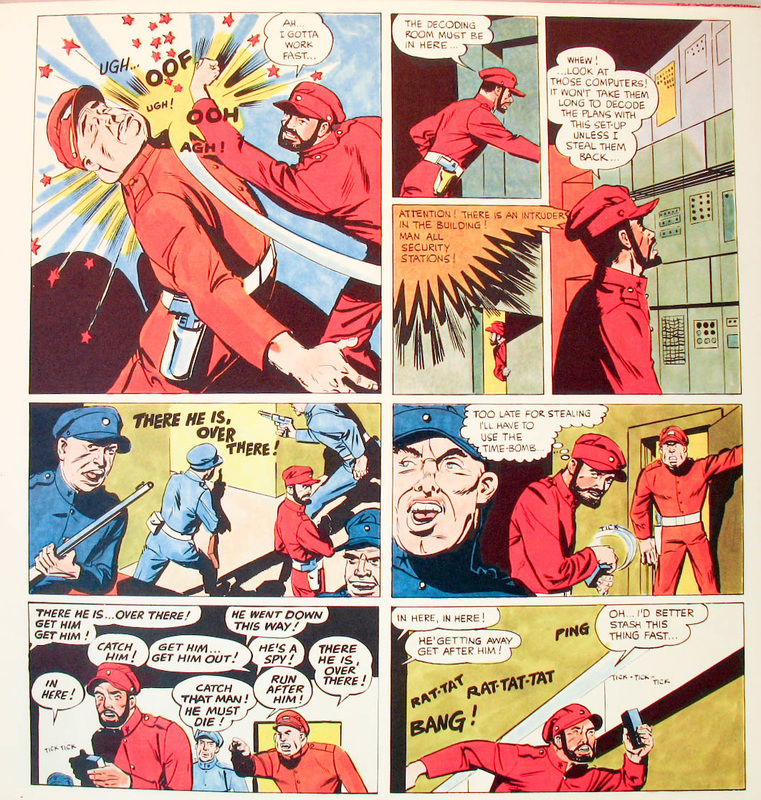 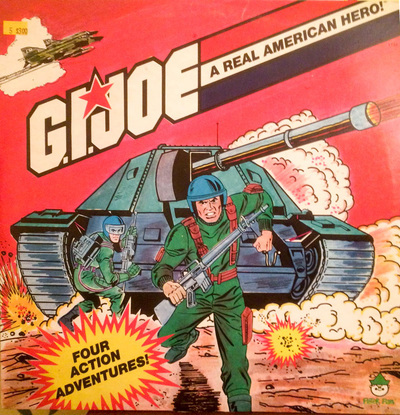 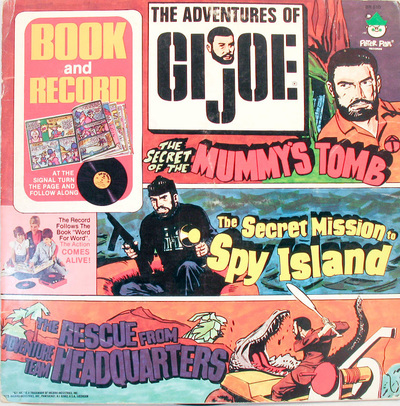 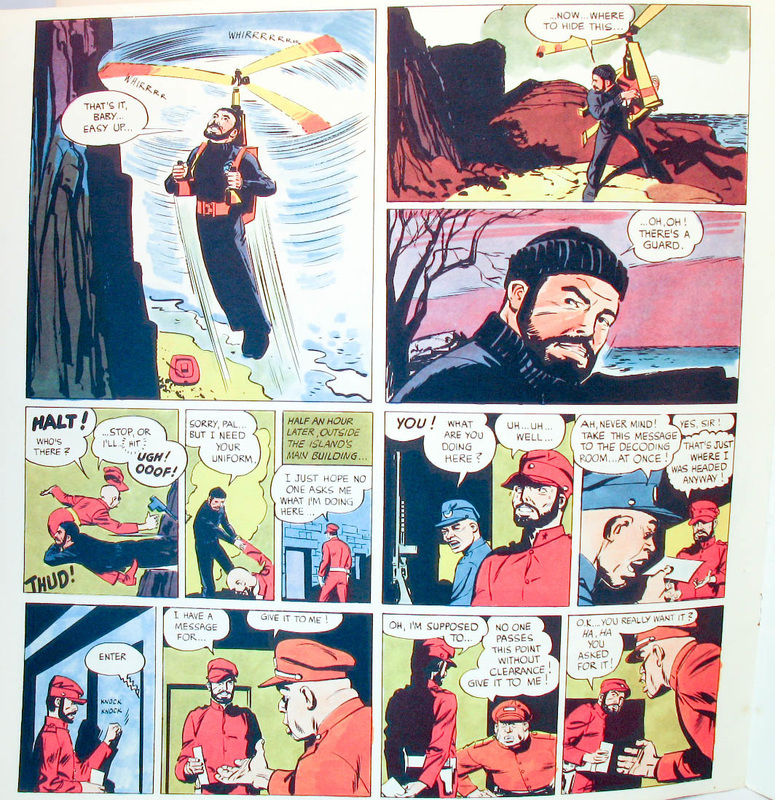 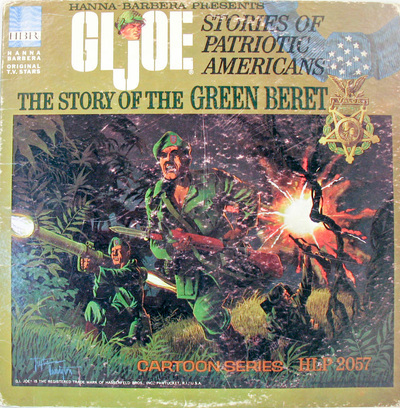 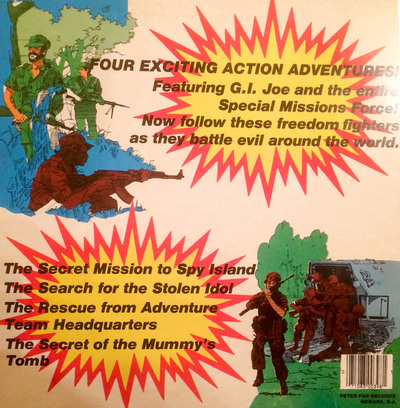 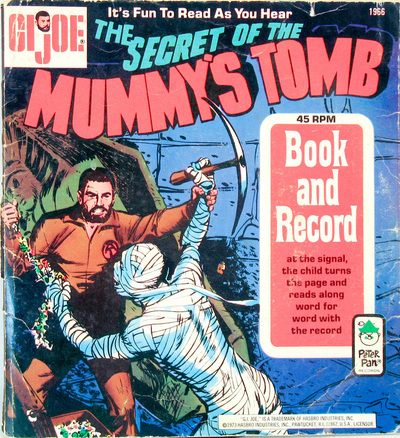 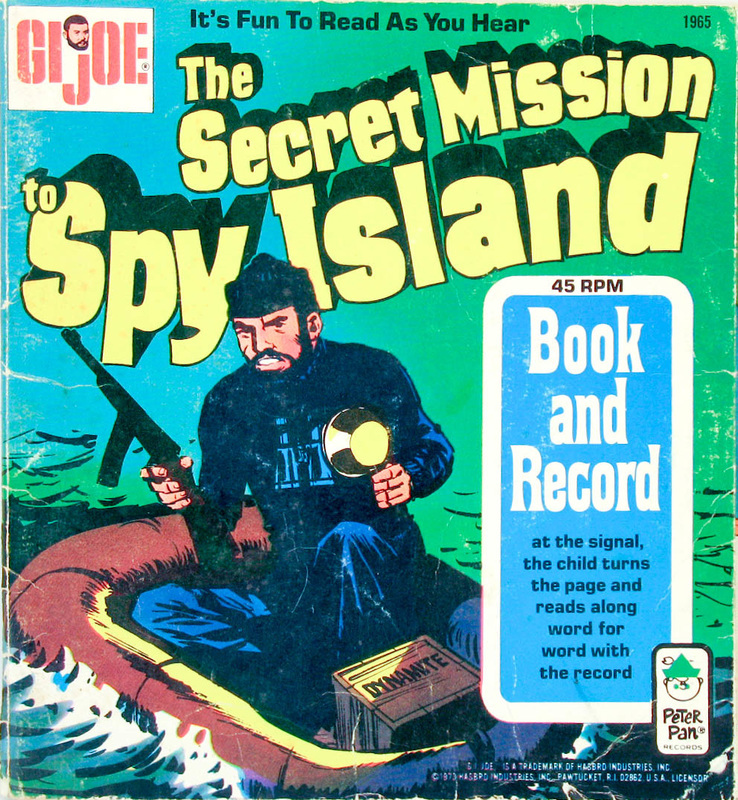 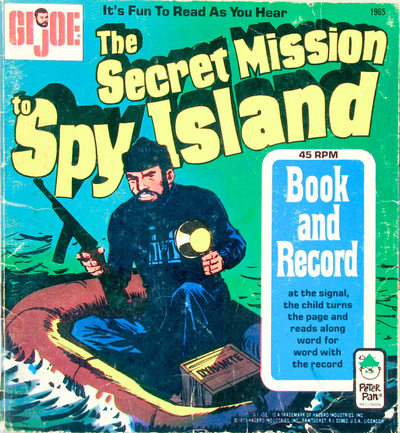 In the 1960s Hanna-Barbera released "The Story of the Green Beret" record as a GI Joe tie-in. Later, four Book and Record 45 rpm sets that tied into accessory packages were released by Peter Pan Records; three of these were combined into a LP. The art of the original Peter Pan book and record sets was created by Carl Pfeufer, one of the classic artists of the early comic era. 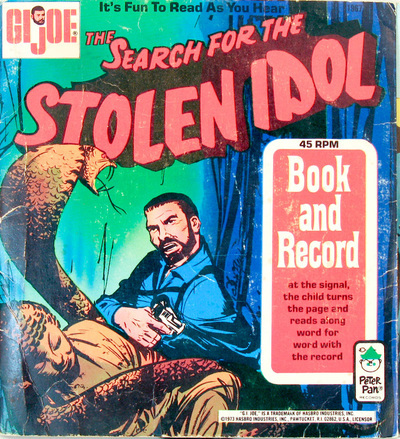 Read about him on Wikipedia. 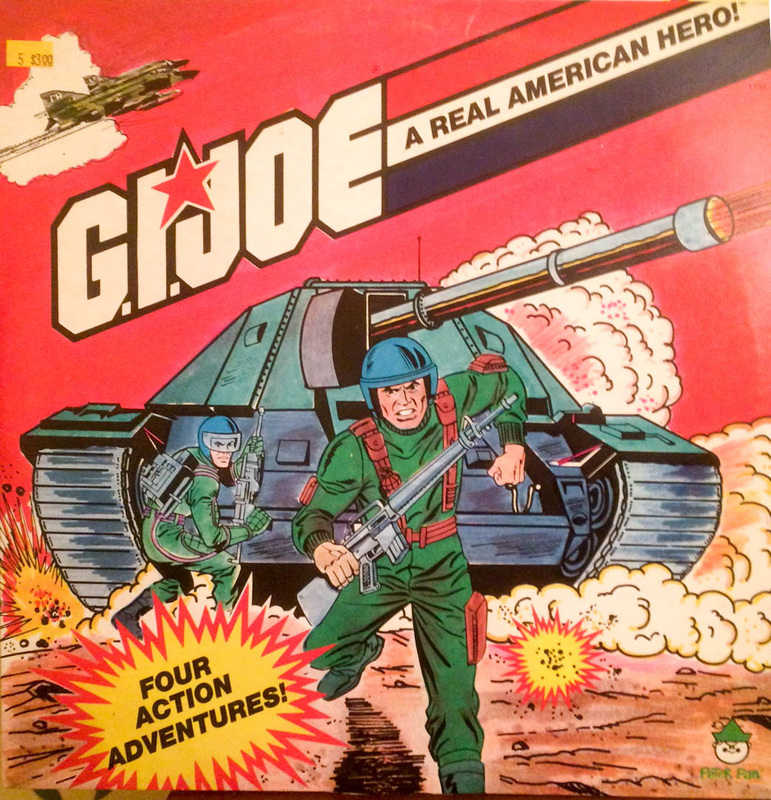 In the early 80s the same AT recordings were repackaged as Real American Hero material. 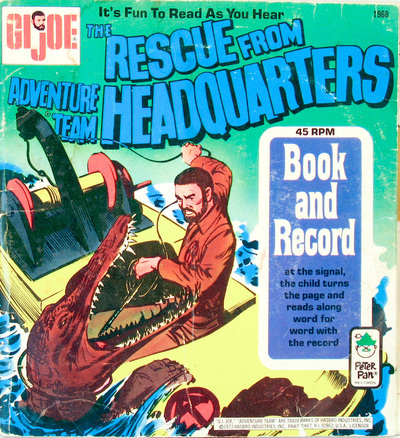 Listen to the recordings at the bottom of the page! 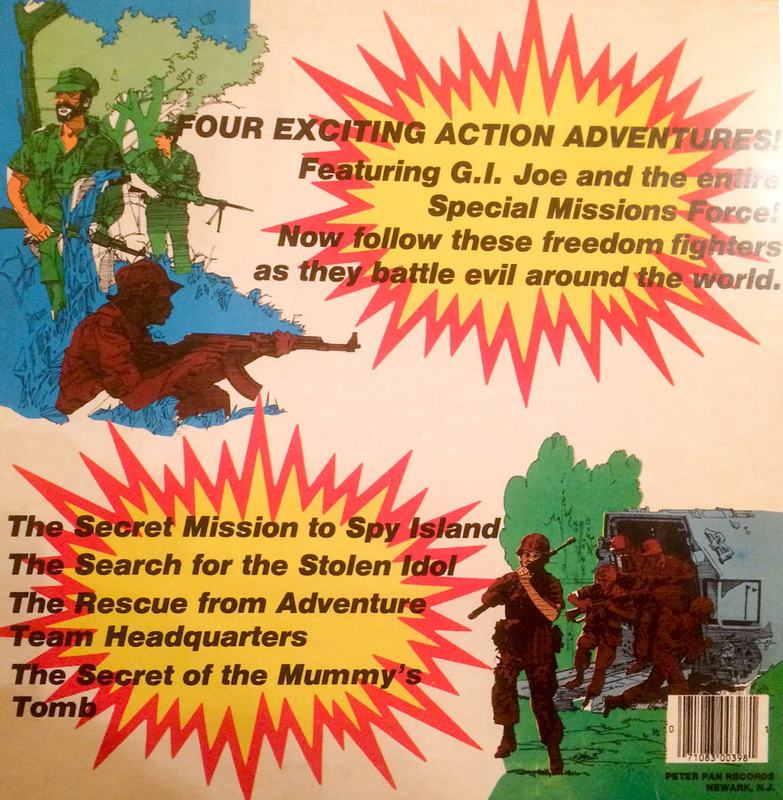 Carson Mataxis of 3DJoes was kind enough to share his digital files of the AT records, ripped from a copy of the 80s release.